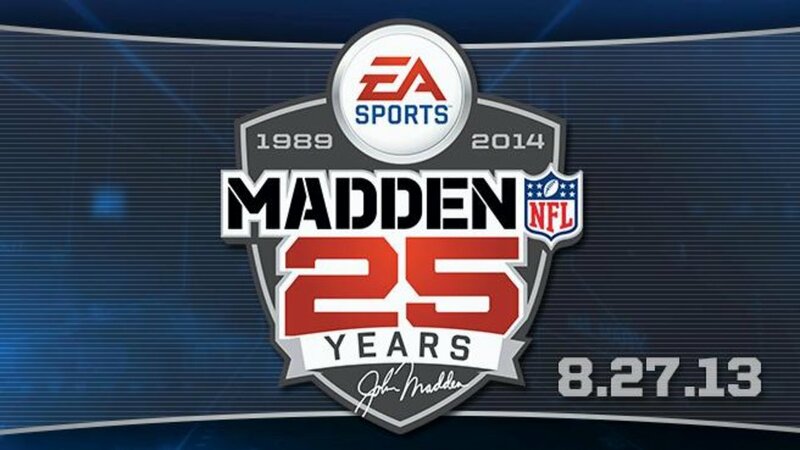 For those late to the party: The 25 means its Madden's 25th release. Madden turns 25 this year. Madden is not fully developed at age 25. Last year Madden added the Infinity Engine which introduced "real-time physics" to the gridiron. That's EA's line, not mine. What actually happened was EA finally took a baby step towards what Natural Motion had already accomplished attempted with Euphoria Engine in Backbreaker (2010). The Euphoria Engine made Natural Motion's football game an impressive tech demo, but the game was hardly playable. A radical camera angle kept most window shoppers at bay. The unpredictable passing game kept everyone else out. On the other hand, every kickoff was accompanied by the first seven seconds of P.O.D's "Boom". Every kickoff. Every time. A rough outing indeed for the first football game to feature a physics based collision system. Before physics were introduced to Madden, the ball-carrier and defender would meet, and Madden would takeover to decide the outcome of their encounter with an animation. Based on the animation Madden selected for you, your player may or may not get to where you needed him to be. The animations were generally okay, but they removed control from the player. An animation based tackling system turns every collision into a cut-scene. Swapping animations for physics gives players more control over the collisions that happen on every play. The Infinity Engine 1.0 replaced most tackle animations with physics, but there are many other collisions where it is poorly used, or not used at all. 1. Getting tackled by your teammates. The Infinity Engine needs to do a better job discriminating between gentle contact and knockdown force. Far too frequently, my ball-carrier made contact with a friendly lineman, stumbled, and then crumpled to the ground before any defender made contact with him. This problem plagues all but the very best running backs which makes running between the tackles nearly impossible for some teams. This is bad for balance. What's worse is that a great deal of plays end in an uncontrollable stumble among your own lineman. In Madden 13 there are times where your player breaks a tackle and will begin stumbling. Sometimes he regains his balance, sometimes he falls. The issue is that when the character begins his stumble, control is removed from the user. The user should be granted some control over a stumbling character in much the same way the user is granted some control of a sliding car in a racing game. Stumbling in its current state, just brings the user along for the Madden ride, which is what the Infinity Engine sought to remove in the first place. A player gets blocked in Madden in two steps. Step 1: Defensive player is drawn in by the offensive player's magnetic blocking field. Step 2: The pair engages in a static "blocking embrace". In Madden, control is wrenched away from the player as soon as they get too close a blocker. This is the reason it's not fun to play as a defensive lineman. The Infinity Engine 2.0 should make blocking more dynamic and user-controlled....also...pancakes. 5. Why does everybody run hard? If Andy Dalton, an average sized quarterback, were to ever scramble out of the pocket and allow a linebacker to hit him, he would go straight to the dirt. Neither occurs in Madden 13. Quarterbacks consistently behave like their much bigger teammates at the moment of impact. In reality, quarterbacks do not fight for extra yards at the moment of impact, they look to get down on the ground as safely as possible. In Madden 13, every quarterback fights for extra yards, and more often than not will try to bulldoze defenders. There are a few slippery quarterbacks in the league, but most of these guys are elusive, not powerful. Also, when these guys slip away, it's usually in the backfield, not fifteen yards downfield.